If you are working for a company that offers an early retirement incentive program, you should carefully evaluate all aspects of the program before making a final decision. What is an Early Retirement Incentive? An early retirement incentive program, known as ERIP, is offered by organizations, institutions and companies that want to reduce the number of employees they have on their payrolls. The purpose of the incentives is to entice current employees into leaving their jobs earlier than they had originally planned. Once an agreement is reached, the early retiree receives the special benefits, or incentives, that were covered in the early retirement program. Since these programs are designed to reduce company costs, they are generally offered to employees that are earning high salaries or who are at the top end of the pay scale. These employees are usually those that have been with a company for a long time and may be closer to retirement age than many of the other employees. However, this is not always the case. At times, a company may offer an ERIP to people who hold a particular position or to those working in a certain department. When an ERIP is offered, an employee must meet specific requirements in order to qualify. Most of the requirements are set by the company. For example, there may be an age requirement and a stipulation that the employee has worked for a minimum number of years. In some cases, the age of the employee, plus the number of years they have worked for the company, called credited service, must add up to a specific number, such s 75 or 80. Employees must be a minimum of 50 years old to qualify for early incentive retirement. All eligible employees have the right, and must be given the opportunity, to take part in the ERIP. The ERIP must be in effect for a minimum of one year. Employees can purchase credits if they do not qualify for the early retirement program. Employees cannot purchase more than five years of service credit. Employees must be given notice of at least 30 days before the ERIP ends. Other laws and guidelines that govern early retirement programs may exist on state levels and may differ from state-to-state. Early retirement sounds very inviting, but it is essential that you carefully assess and balance your needs to the incentives the company is offering. An ERIP is a downsizing strategy. It is instituted to benefit the employer by reducing company costs and providing employee turnover. If you have always dreamed of retiring early or are looking to leave a job that has been the cause of stress for many years, than an early retirement program may be the perfect solution for you. Perhaps you want to spend time traveling, or dream of opening a business or pursuing another avenue of employment. 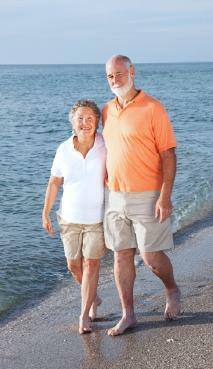 Retiring early with an incentive plan in place may allow you the freedom to follow your dreams. However, if you love your job and would miss the social contact of fellow employees or feel you would experience financial difficulty over time, than an early retirement program may not be the best choice for you. Although an early retirement incentive offer may allow you to retire years before you are legally eligible for government retirement benefits such as Medicare and Social Security, it is important that the offer is carefully considered and evaluated. It should include a financial arrangement and medical coverage that is sufficient for your needs.